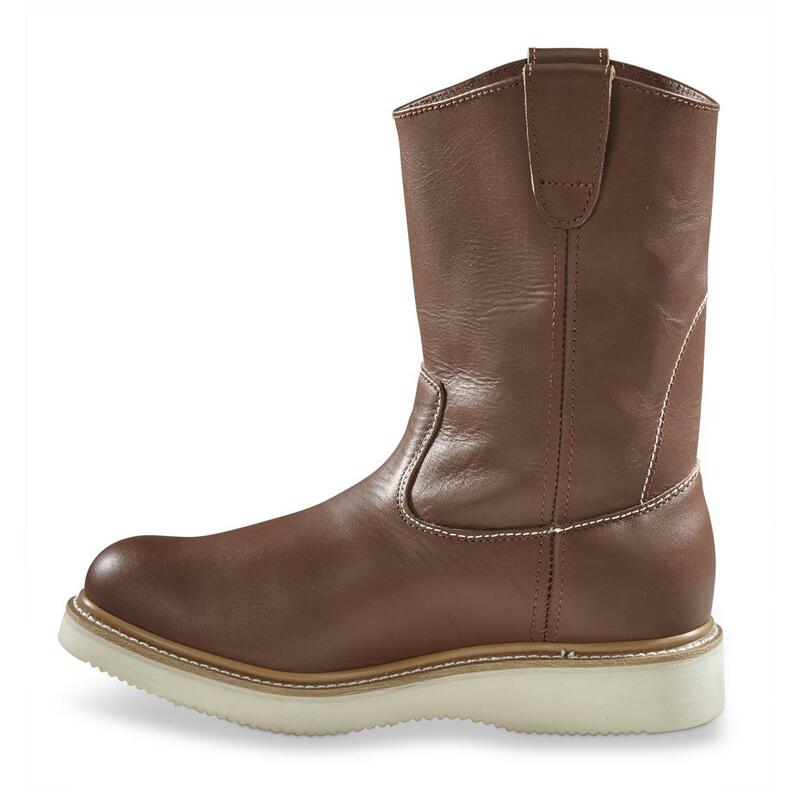 The classic Wedge Boot…your Dad, even your Grandpa, would recognize the profile, and probably even the color! Wedge Boots have been an on-the-job favorite for decades, and it's no wonder why. 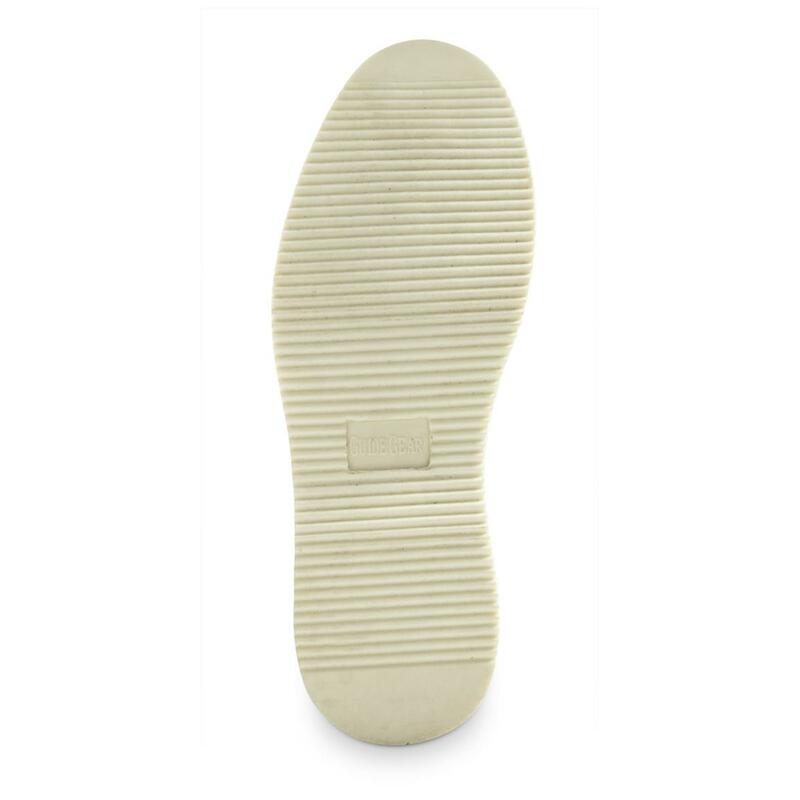 They're all-day comfortable, lightweight, durable, and the outsole doesn't collect mud or asphalt. 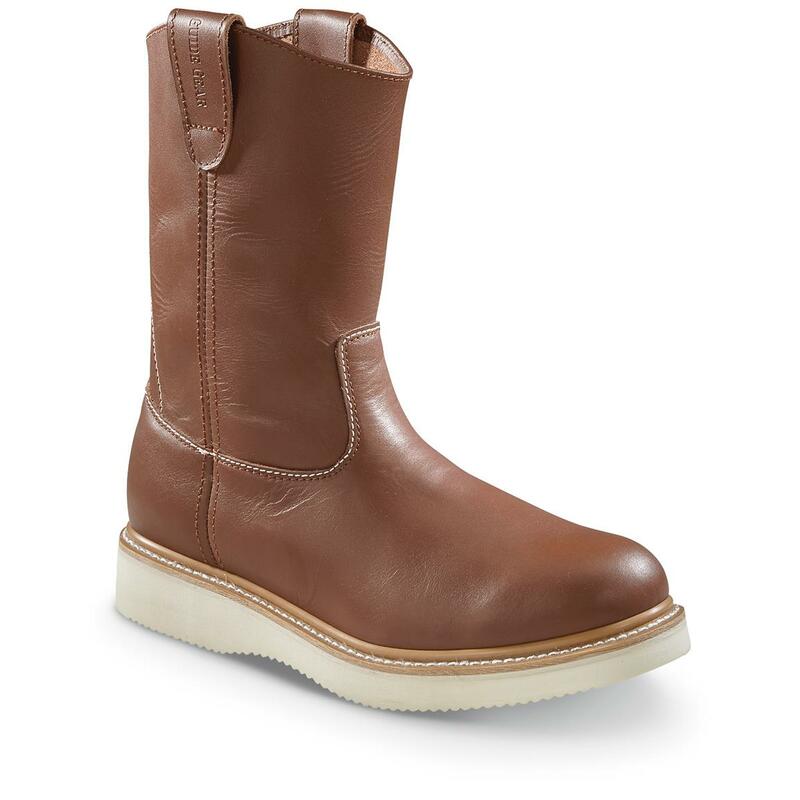 As part of our new Wedge Collection of quality-built work boots, our Guide® Gear Wedge Wellingtons carry on that legacy of excellence. 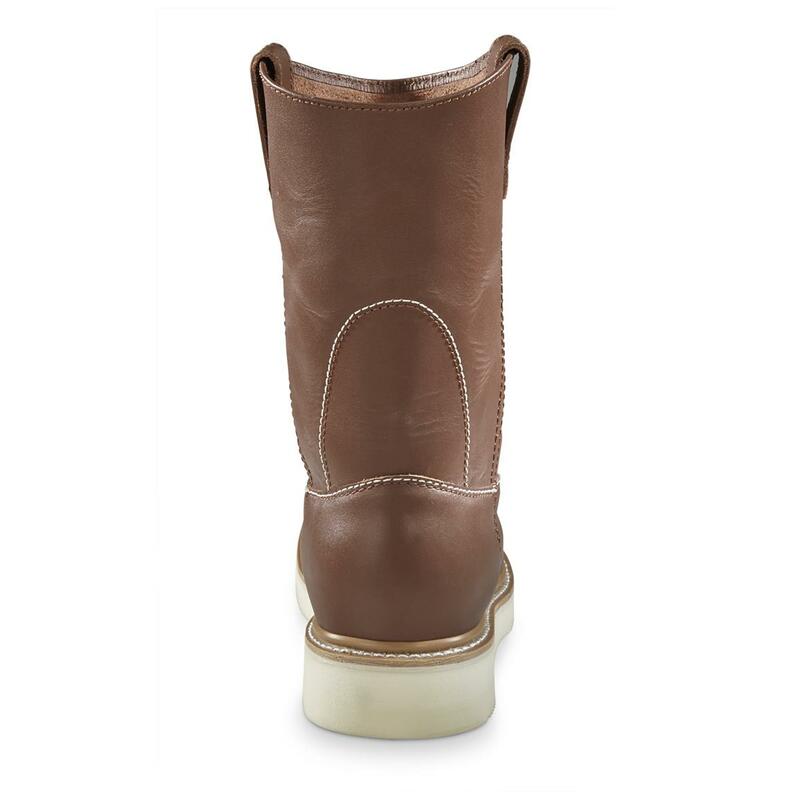 Crafted from full-grain leather uppers for premium durability, with classic Goodyear welt construction, the oldest and most trusted footwear construction method. Unlined for cool breathability. Plus pull-on loops to help you get ’em on and off. 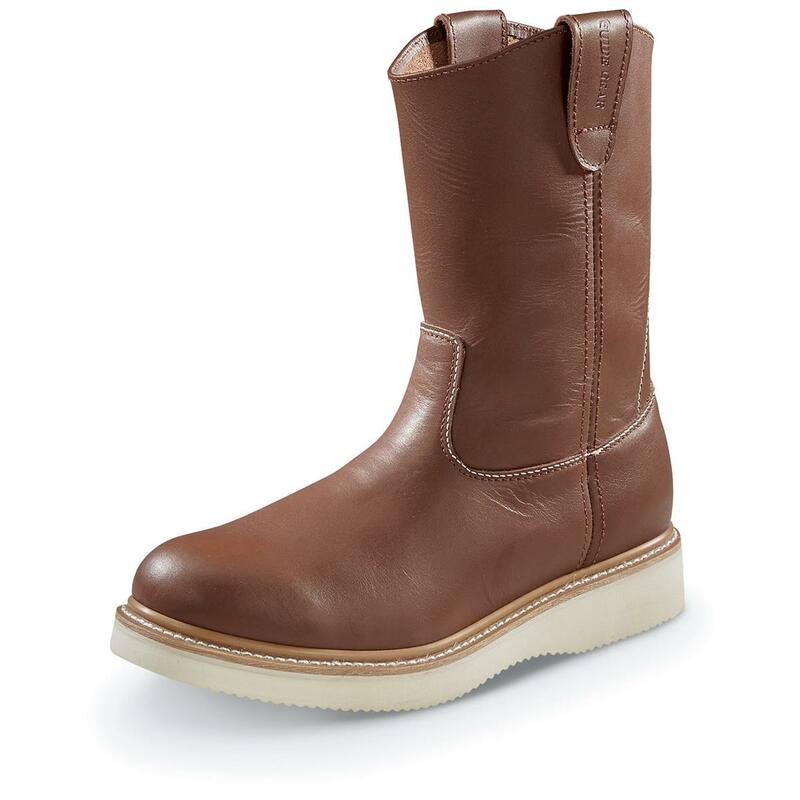 Guide Gear Mens 10 Wellington Wedge Work Boots is rated 4.5 out of 5 by 22. Rated 5 out of 5 by Mike111 from Soft So far so good. Only on day 3. Size was correct, leather very soft. Sole is a little stiff but I'm sure will loosen up. 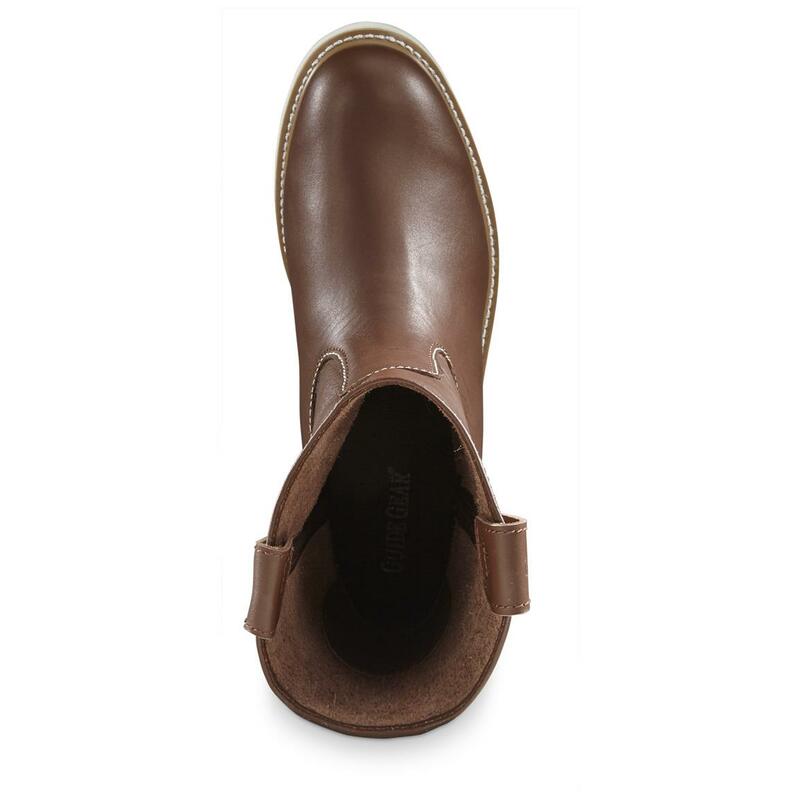 Rated 5 out of 5 by sniper from BOOTS THATS THE WAY BOOTS ARE SUPPOST THE FIT EASY ON AND EASY OFF BEST BOOTS I HAVE EVER HAD IN MY LIFE. Rated 4 out of 5 by Mike from Good deal. 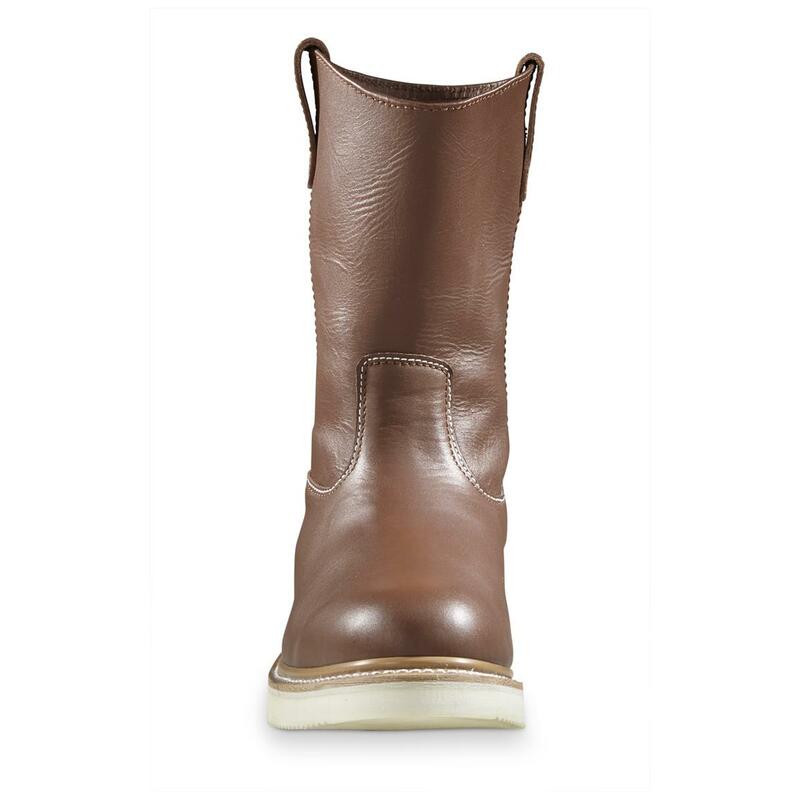 Good quality boot for the price. Size runs a half size to big. I will wear extra thick socks. Rated 5 out of 5 by iamed from Perfect Sole The soles of these boots clean easily! Rated 2 out of 5 by Gary12850 from cheap imitation of a great Georgia boot another $71 down the tubes... when will I learn cheaper is not always a better choice, I should have gone the extra $40 and gotten quality. 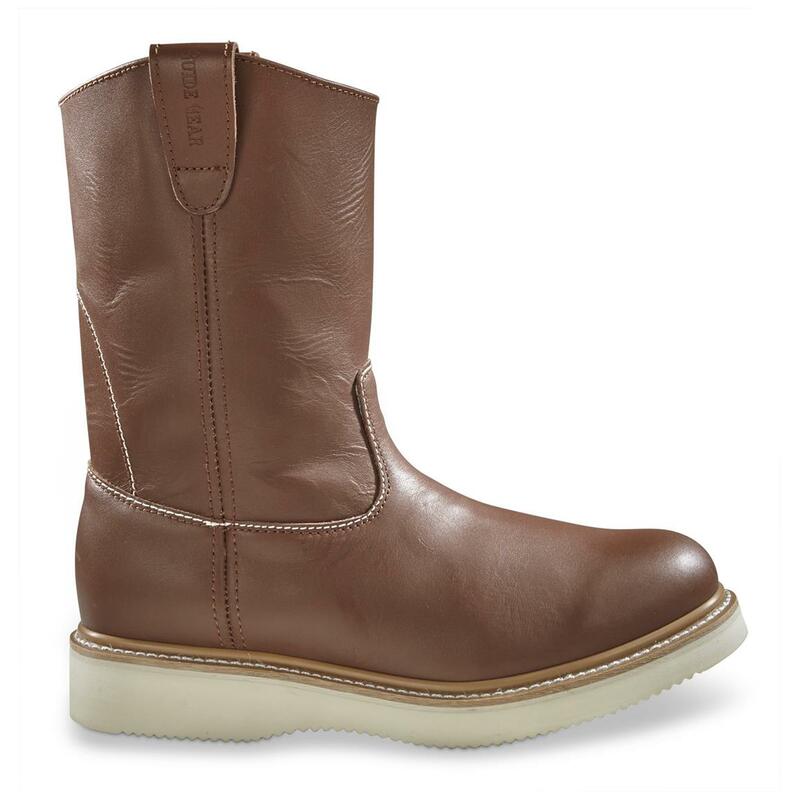 Guide Gear® Wedge Work Boots.